Image from Joshua Tree created using one of my Bronica SQ medium format cameras with enhancements done digitally. I really love Joshua Tree, it can be very quiet and hot or cool depending upon the time of year. My Father loved our trip there, its really a neat place to visit. Image created using a Nikon D750 and Nikkor 85mm f 1.8 lens set at f2.5 1/125th of a second with an ISO of 6400. Image cropped, no Photoshop, what you see was intentionally set up at time of capture just like in the old days. 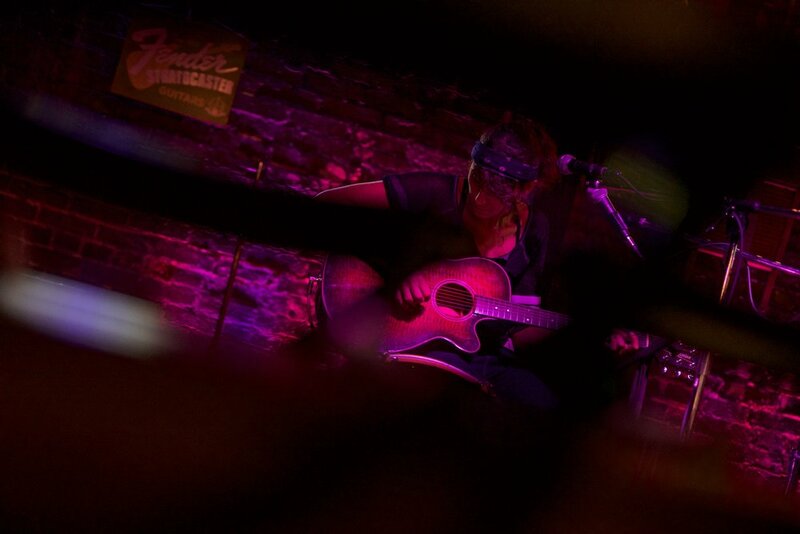 Jacqueline Nassar performing at Levon's in Clarksdale Mississippi. If there is one thing that is for certain it is that Clarksdale is a hot bed of musical talent. Whether it is traditional Blues or music of another genre there is someone who can play it and play it well. Jacqueline is an amazing Blues & Contemporary guitarist, Drummer and is also a great vocalist. Image created using a Nikon D750 camera and Nikkor 85mm f1.8D series AF lens. There is something simple yet beautiful about a basic Black & White film image. Your focus is less about obvious color and more on the photographs context, contrast and tonal qualities. This image was created on Ilford HP5 film processed and scanned by North Coast Photographic Services based in Carlsbad California www.northcoastphoto.com and shot using a Bronica SQ-Ai medium format camera with 80mm f2.8 lens. Oddly enough this is where I post things related to photography and images that I may have created. Well, it is my Blog isn't it?